Offering you a complete choice of products which include box making machine, automatic carton box making machine, cardboard box making machine, vertical type single facer corrugation machine, carton box making machine and high speed single facer corrugation machine. 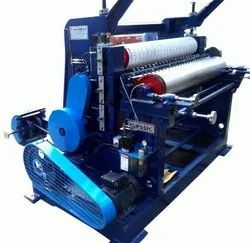 Leveraging on our rich industry experience, we are enlisted among the reputed Manufacturers, Exporters and Suppliers of Box Making Machine. Available in Sizes 52", 60", 72"
We are the manufacturers of Automatic Carton Box Making Machine. 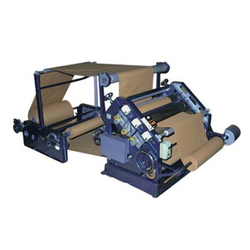 We are enlisted among the reputed Manufacturers, Exporters and Suppliers of Cardboard Box Making Machine. 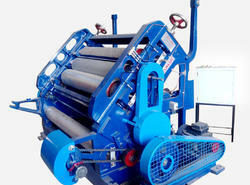 We are the manufacturers of Vertical Type Single Facer Corrugation Machine. Capacity Speed- 30 to 35 meter/m. Heavy Duty Standard Model with all accessories. Speed- 30 to 35 meter/m. 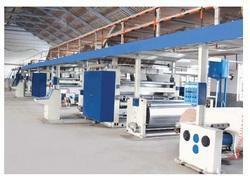 We are the manufacturers of High Speed Corrugation Machine. 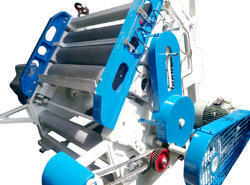 We are the manufacturers of Hydraulic Shaftless Mill Roll Stand. Maximum diameter : 1500 mm. 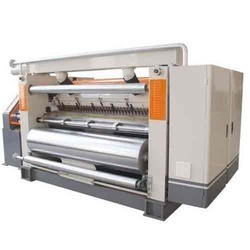 Effective sheet length :1400 mm-2500 mm. Hydraulic control of the lifting and lowering,clamping and releasing,rightleft movement. Pneumatic control of the web tension. 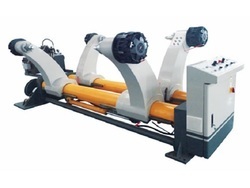 Classic, Heavy Duty Shaft Less Mill Roll stand with hydraulic power pack with all Accessories.